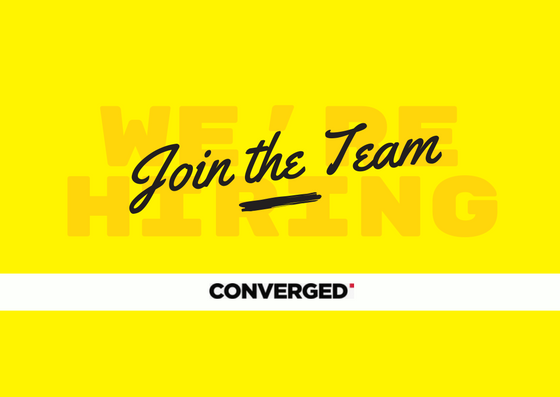 We are Converged, a growing digital agency where members of our team can work where they want, when they want, as long as they do their job. Our clients are mostly from APAC region. Since we aim to be a multinational agency, we also have a few clients in other regions. Want to join our team as an SEO Analyst? We are looking for an SEO Analyst who is keen on learning something new everyday and sharing their insights and reports with our clients. Demonstrable passion and interest for internet-related technology is a must. Writing content for Converged Blog on SEO related topics such as case studies, news, etc. This may seem to be a side-task, but we take it really seriously! Awareness of some SEO tools is a must. Develop and execute digital marketing initiatives aimed at driving backlinks to the website. Ability to effectively communicate and build relationships with internal and external partners in English. If you have TOEFL or IELTS score, please don’t hesitate sharing it with us. Confident working in a fast-paced environment while meeting changing deadlines and priorities on multiple simultaneous projects. We are using Toggl and Asana to follow-up projects and tasks. What we are looking for is ability to manage time, self-motivate, and deliver projects on time. Proven experience in being very organized, accurate, timely and reliable. If you have a recommendation letter to share, please do! That’s a huge plus. Highly motivated to drive performance and company success. Ability to maintain self-motivation and operate with an entrepreneurial mindset. Ability to adapt and apply new technologies to marketing practices and programs. A good amount of paycheck with insurance. Remote working options. You can work 100% remotely after orientation period. No more traffic jam trying to get to office. Flexible working hours. After an orientation period, you don’t have to work 9-to-5 everyday. High level training documents and videos. If you feel short on some field of digital marketing, we’ll have a yearly training calendar and we can work together to choose your training pathway. Leisure work days: the days we work all together (we mean like physically, face-to-face) and have some fun at the same time.